Sliding showcase ratchet lock has the most typical retail display case. It is easy to install and slips on edge of glass door at any location. 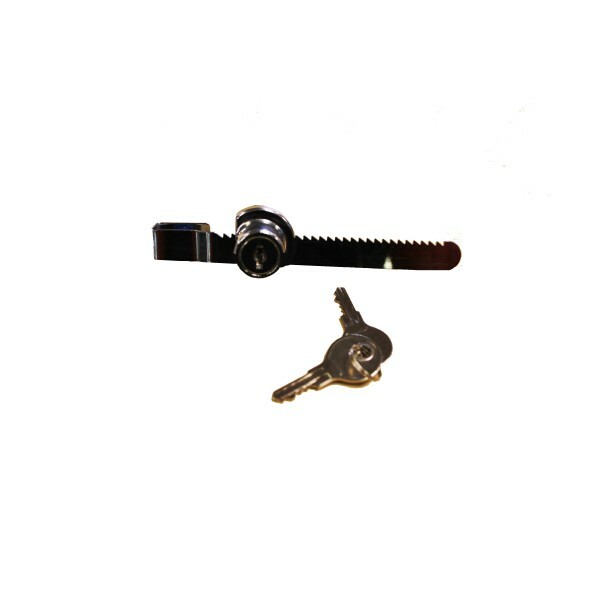 Keyed alike with zinc alloy lock housing, chrome finish it is effect for single glass door display cases, trophy cases, and retail cases able to lock multiple retail display cases with one key.